Phase I of the Mural Project was completed in the Spring of 2015 thanks to WabiSabi, the Utah Families Foundation, and Gabriel Woytek. Once completed, the Center had a blank canvas facing 100 West and the task of choosing an image that would convey the values and mission of the Moab Valley Multicultural Center. To prepare for Phase II, we encouraged community members to nominate someone who had made a positive impact in the worls and who embodied the values of the MVMC which are collaboration, compassion, respect, and celebration. Phase II was completed on April 25, 2016, with the generous support of WabiSabi’s Make a Difference grant and paint donated by Mike Newman Painting. From the nomination, we formed a committee to decide on nine diverse change leaders to be painted on the mural. The committee chose Cesar Chavez, Mahatma Gandhi, Jane Goodall, Chief Standing Bear, Malala Yousafzai, Maya Angelou, Nelson Mandela, Eleanor Roosevelt, and Harvey Milk. So much talent and generosity in Moab! 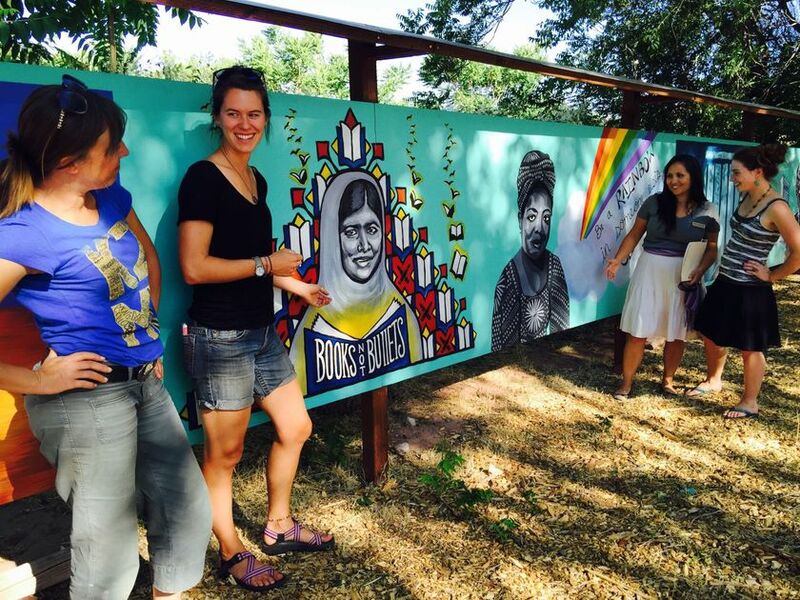 We are currently working on Phase III, turning the Multicultural Mural into Moab’s first outdoor diversity classroom. With the generous support of WabiSabi and the Utah Families Foundation, we plan to add solar lights to illuminate the artwork, create informational signage to display, and develop a multilingual audio tour with additional information about each individual depicted on the mural. 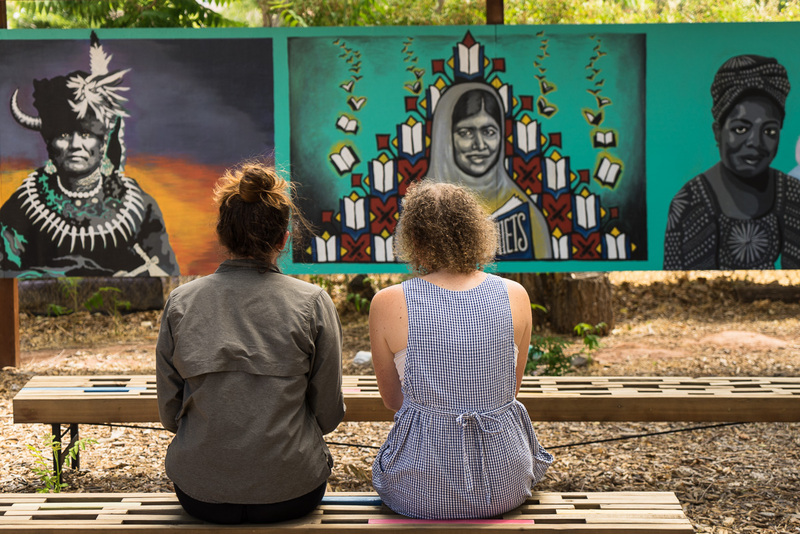 With these developments, the Multicultural Mural will transform into an outdoor diversity classroom that can host class fieldtrips and offer an enriching educational experience for the community. Support the development of Phase III! Please inquire with MVMC Staff about how you can support this project.